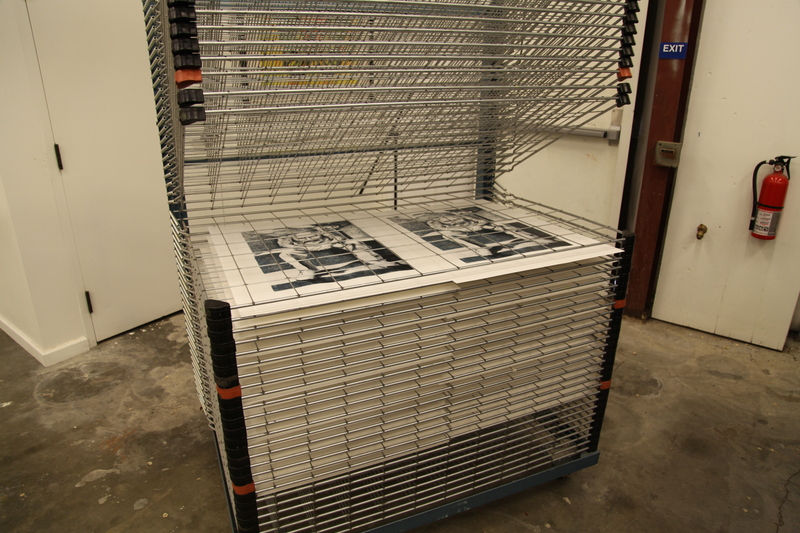 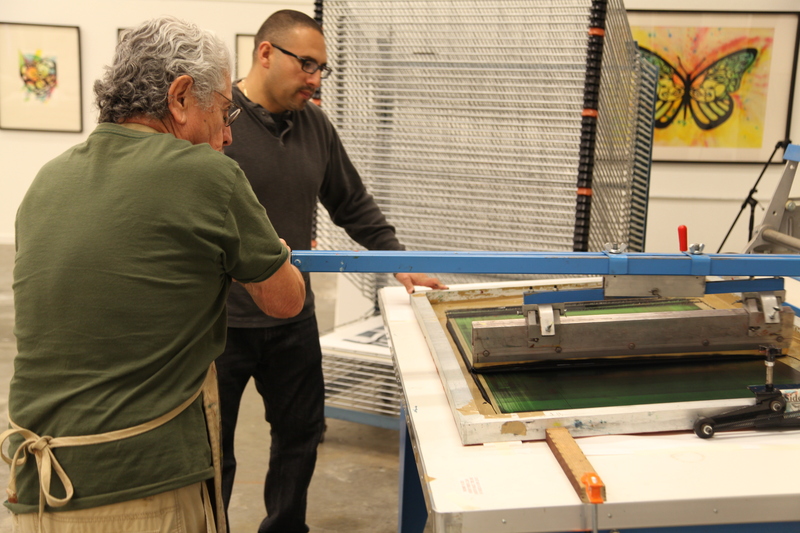 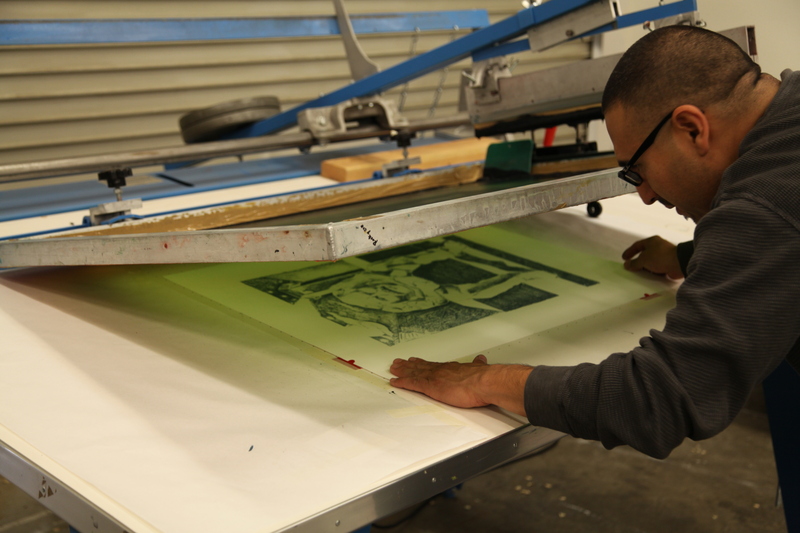 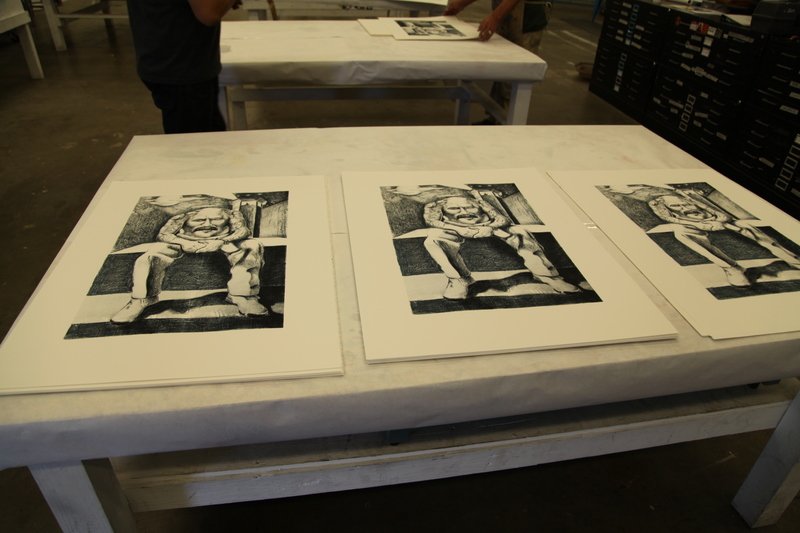 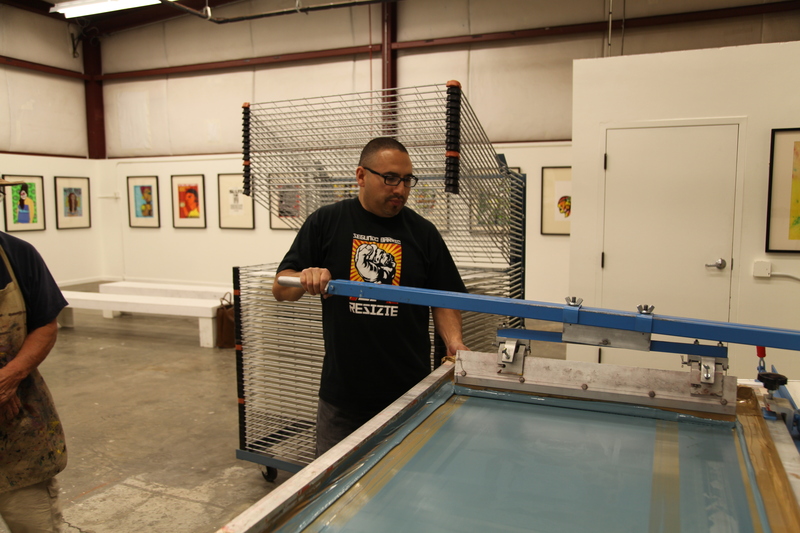 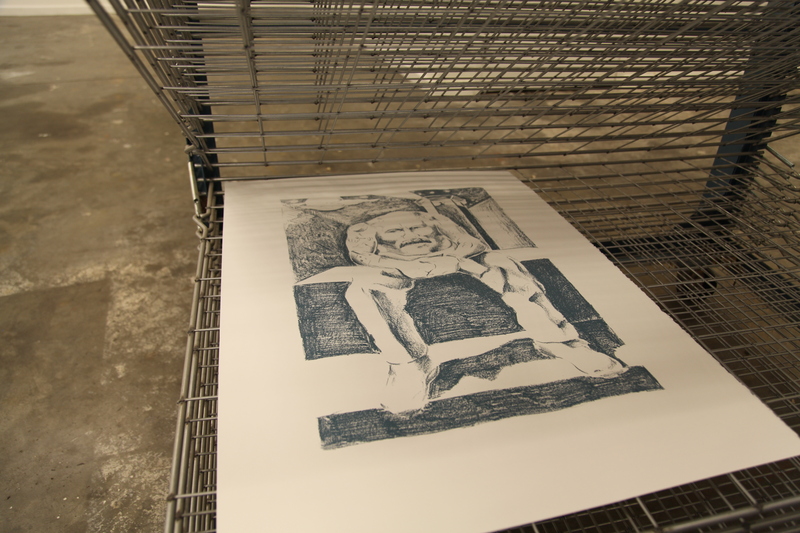 El Paso artist Francisco Delgado visited TANA and worked with Malaquias Montoya to produce a limited edition silkscreen print based on his “Antropófago” series, a body of work that addresses ideas of cultural cannibalism. 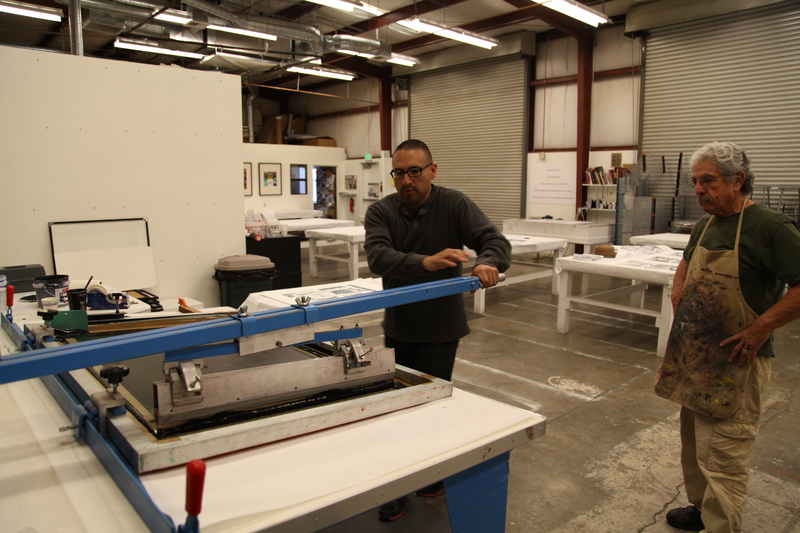 Delgado, a professor at University of Texas, El Paso, was born in Ciudad Juarez and grew up in El Paso’s Segundo Barrio. 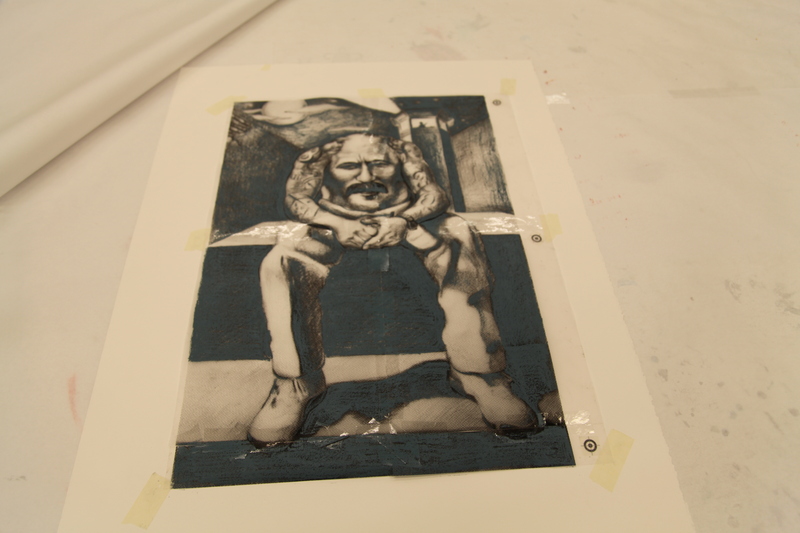 He received his MFA from Yale University in 2002. 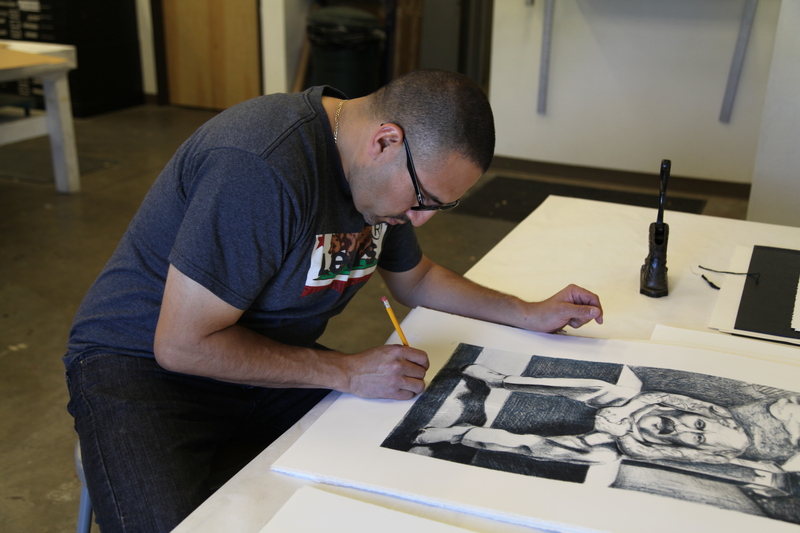 His “Bordeño” art work is “informed by the social and cultural struggles inherent in life on the Mexican and United States border.” In addition to gracing the cover of Carlos Jackson’s book Chicana and Chicano Art: Protestarte, Delgado’s artwork can be found inSi Se Puede/Yes We Can!, a popular children’s book about the Los Angeles janitors’ strike. 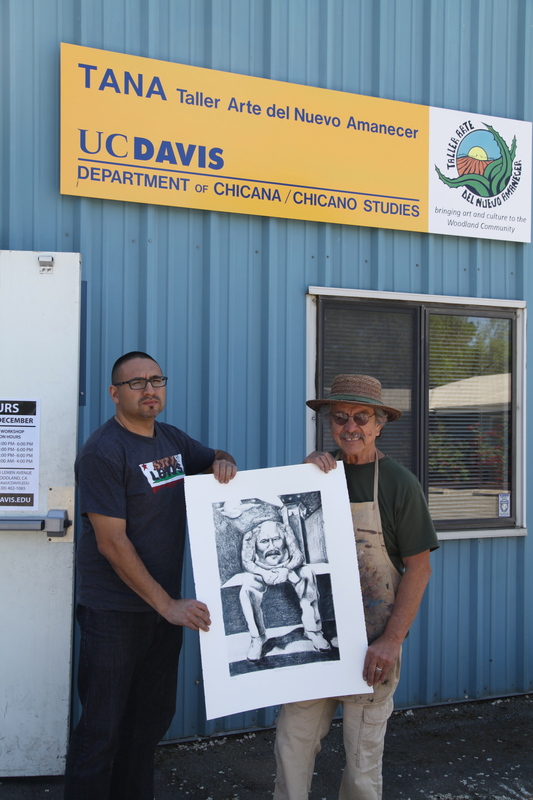 After presenting his artwork to UC Davis students in Maceo Montoya’s course, The Chicana and Chicano Narrative, Delgado visited students in the after school program at Beamer Elementary in Woodland and read from Si Se Puede/Yes, We Can!. 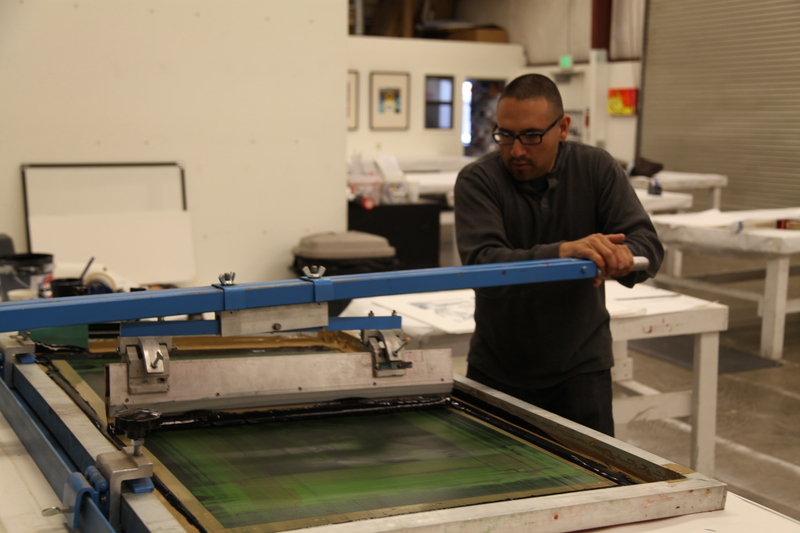 More information about his work can be found at here.